Investment banking is seeing its historical profit centers eroded by technology and regulations. Core processes are being automated or commoditized. From IPOs, to M&A, to research and trading, investment banks are getting smaller, leaner, and scrambling to keep up with innovations. In 2006, investment banks were at the top of the finance world. With torrential growth and return on investment (ROI) driven largely by the trading of complex financial instruments, Lehman Brothers, Bear Stearns, Goldman Sachs and others achieved record profits and awarded unprecedented bonuses. Over the next two years, everything fell apart. Download the free report to learn how core processes of this financial service are being automated or commoditized. After the collapse of Lehman and Bear Stearns and the global financial crisis that ensued, the business models of the world’s biggest investment banks needed to change. In the US, legislation emerged to forbid investment banks from prop trading, or trading with their own capital, and forcing them to keep more capital on hand. This regulation reduced trading profits and created a need to cut costs, spurring investment banks to spin off unprofitable divisions or eliminate them entirely. While the rules against prop trading have more recently been loosened, the restriction has still changed how investment banks operate. Moreover, as more and more companies raise large equity rounds they’re also choosing to delay public offerings. And even when major tech companies do decide to go public, some, like Spotify and Slack, are doing so mostly without the help of banks. As a result, banks are facing dropping IPO profits: they generated just $7.3B in revenue in 2017 from equity capital markets, which includes IPOs, down an inflation-adjusted 43% since 2000’s peak, according to the Wall Street Journal. At the same time, financial upstarts have built technologies that could eventually cut into the relationship-driven work that investment banks are used to doing. Instead of working with a bank to make an acquisition, you can use Axial — the so-called “Tinder of M&A,” for its algorithm-based approach to matching companies with potential buyers. In 2015, 26% of $1B+ mergers and acquisitions took place without the help of external financial advisors, up 13% from the year before, according to Dealogic. The other functions of investment banks haven’t performed much better. In the world of asset management, the biggest players are now dedicated firms like Vanguard. Total assets under management (AUM) at the top asset managers now dwarfs total AUM at the top banks. And across equity research and sales & trading, poor performances and new regulations have led to widespread layoffs as banks have figured out they can do more with less. It has been a tumultuous decade for the world’s biggest investment banks. Some banks have collapsed. Some have adapted and gone on to post record profits. But there’s no question that the way these institutions function has shifted, pushed along especially by the financial crisis and technology trends. Even as the regulation pendulum swings back toward more limited oversight, how investment banks operate is fundamentally changing. Underwriting an initial public offering (IPO) is a highly profitable business for an investment bank. A company decides it wants to raise money by going public, and an investment bank helps by connecting them with willing investors, promoting the company’s stock, navigating complex legal frameworks, helping determine a price for the stock, and purchasing an agreed-upon number of shares and reselling them, thus taking on risk for how the stock will perform. For this work, the underwriting bank can make tens of millions from an IPO — whether or not the stock performs well. But today, the powerful tech companies fueling the world’s biggest IPOs are exerting their influence, using their size and name recognition to extract lower fees from the investment banks. Some are also exploring alternatives to the IPO, like the direct public offering (DPO) and alternative exchanges, and even in some limited cases, initial coin offerings (ICO). And perhaps the trend that’s had the biggest impact — some big companies are electing not to go public at all. Thanks in part to an abundance of cash being offered by venture capitalists and sovereign wealth funds, many startups are opting to stay private indefinitely. As a result, investment banks are having to chase more deals and reaping lower revenues for doing so. In 2017, investment banks generated $7.3B in revenue from underwriting IPOs: a 43% reduction since 2000, adjusted for inflation. IPOs once accounted for around 25% of investment bank revenues, but in recent years that figure has decreased to about 15%, according to Seeking Alpha. As revenue generated from underwriting IPOs has gone down, investment banks have turned to technology to lower costs and automate parts of the process. This is helping banks maintain high profit margins — for now. But it also signals the susceptibility of the investment banks to commodification down the road by technology disruptors. For now, though, it is the contraction in IPOs that is having the biggest impact on this investment banking function. One of the main things investment banks offer the companies whose IPOs they underwrite is legitimacy — they confer their prestige on them. Private companies are untested. Having a prominent investment bank co-signing and underwriting their IPOs is one way to gain the confidence of public investors. And before the dot com crash, Goldman Sachs’ IPOs did tend to jump an average of 293% from their starting price through their first Friday on the market — compared to 26% for the bank Donaldson, Lufkin & Jenrette and 78% for Merrill Lynch. Major investment banks still have a big impact on IPOs. Of 2018’s 7 best performing tech IPOs, according to Motley Fool, 6 used either Goldman Sachs or Morgan Stanley, or both, as underwriters. Facebook, eBay, General Motors, Twitter, and Dropbox are just a few examples of major IPOs that were underwritten by one or both of these firms in years past. 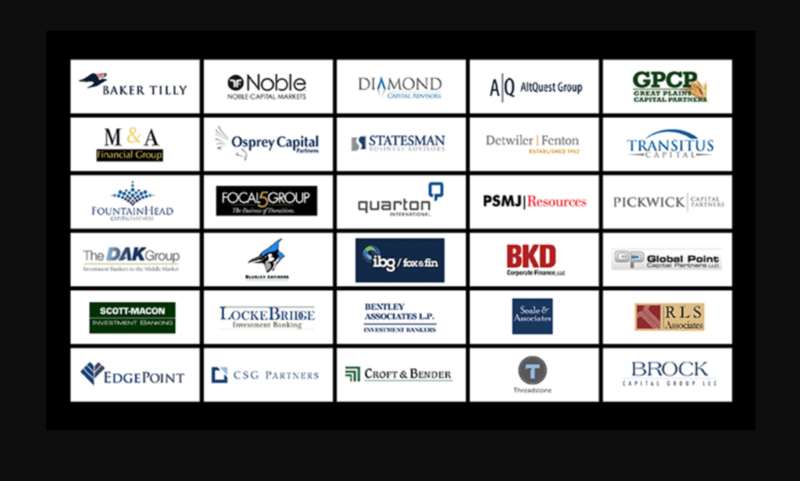 Once a company finds a bank or group of banks that want to underwrite their IPO, the bank(s) lines up a “road show.” During the company’s road show, company and/or bank executives give presentations to mutual fund managers, hedge fund managers, and others across the country who may want to buy large blocks of shares. While they drum up interest in the company, known as “book building,” underwriters also work to price the IPO, or determine how the stock should be priced when it first hits the market. To do this, they look at examples of comparable companies that have gone public, projecting how the company may perform in the future, and assessing how much funds may be willing to pay to invest. 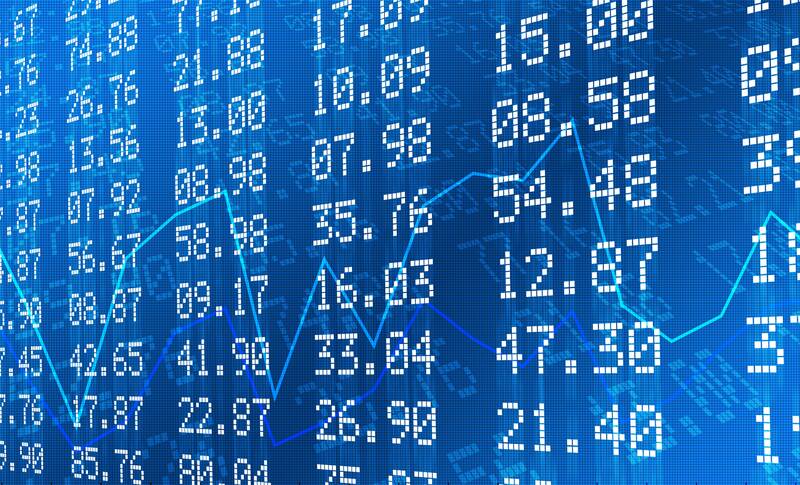 Going public is a significant liquidity event for a company, but is also a complex legal event. Most companies need help navigating the process, and investment banks participate in this service along with lawyers. In return for all of this, investment banks charge an underwriting fee that traditionally comes in at around 3-7% of the gross proceeds of the IPO. The exact size of the fee depends on the type of deal. Standard, sub-$500M raises and more complex IPOs are more likely to result in a fee around 7%, while larger or simpler IPOs may end up closer to 3%. Taking a hefty fee mitigates the investment bank’s risk by insulating it from the stock’s actual performance in the market. When Facebook went public in 2012, the stock fell 15% in its first few days on the market. Despite this, the Wall Street Journal reported that Morgan Stanley, Goldman Sachs, and the company’s other underwriters made $175M in fees. Some have even accused investment banks of mispricing stocks, alleging that the banks deliberately underprice new stocks in order to engineer a “pop” on their first day of trading — benefiting the bank but also the institutional investors that the bank brought into the stock. For example, the dotcom company eToys filed suit against Goldman Sachs claiming exactly that in 2002. When eToys went public, Goldman Sachs (its underwriter) convinced it to open up its listing at $20. The stock price jumped in the first day of trading more than 4x, but months later the company collapsed. According to eToys, Goldman intentionally mispriced the stock to benefit its many institutional clients. After more than 10 years in court, Goldman Sachs settled with eToys’ creditors for $7.5M. Today, this system is showing signs of breaking down — or at least shifting in favor of the massive tech companies that have given investment banks their biggest IPOs in recent years. Tech companies have gained power because tech IPOs have become the best-performing and highest-returning public offerings. That’s flipping the prestige aspect of investment banks’ value proposition. 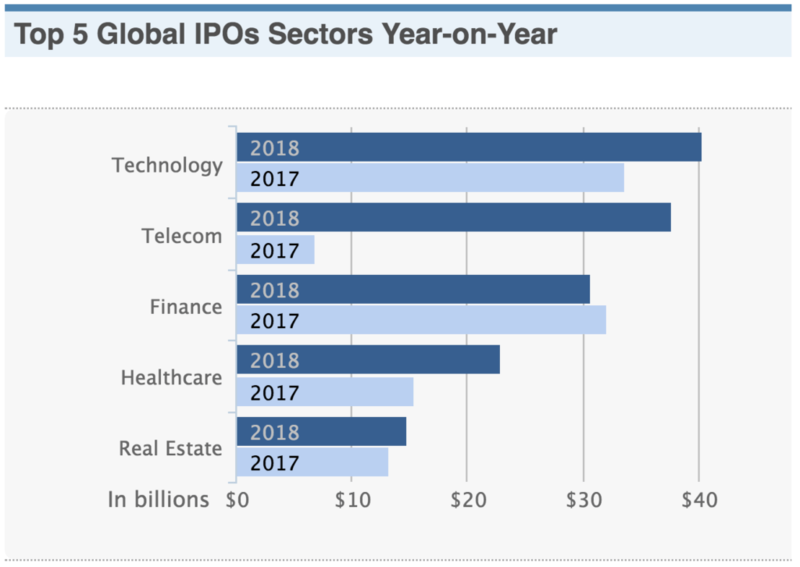 With new, high-profile tech IPOs, it is often the bank that is willing to accept a smaller percentage of IPO proceeds in order to underwrite the offering. When Facebook wanted to go public, it convinced Morgan Stanley, Goldman Sachs and others to accept a reported fee of just 1.1%. More recently, the banks underwriting the IPO of SoftBank’s mobile business lowered their fee to about 1.5%. Big, prestigious tech companies like Facebook can get their fees down to approximately 1% because they’re already known quantities. They don’t need a bank to co-sign them. All they need is access to the investors who already know these tech cos’ names. Eager to maintain their margins and protect their competitive advantage, much of the logistical machinery underlying the IPO process has been automated and commodified by the banks already. Goldman Sachs began working to automate its own IPO process after it found that around half of the 127 IPO steps it identified could be done by computers — for example, making calls to compliance, making calls to legal, delivering price updates to clients, preparing the company’s audited financials, and so on. By 2017, it had much of this codified in its own internal software. For now, automating the IPO process helps Goldman hire fewer junior bankers, do more IPOs in less time, and hold onto its high profit margins. 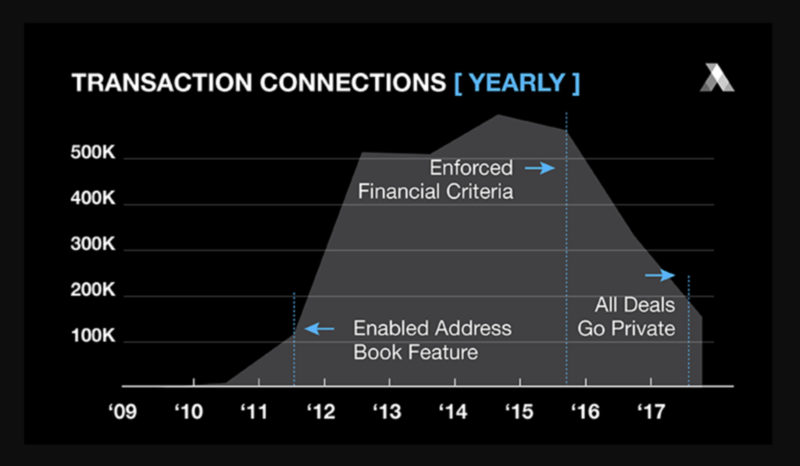 In the long run, however, this more commoditized IPO process may not help Goldman compete in a world where high-flying tech companies are happy to stay private, take themselves public, or even raise capital with new forms of money itself. Today, the biggest threat to investment banks’ IPO function may be the trend towards not going public at all. IPO activity has dropped from its recent height in 2013. There were nearly 6x as many $100M+ private financing rounds as IPOs of US venture-backed technology firms in 2018. For the companies that did go public, it was later than it has been in recent years — a median time of 10 years from inception to IPO, compared to a median time-to-IPO of less than 7 years in 2013. Flush with cash, more startups than ever before are choosing to forgo the public market and stay private for far longer than in years past. 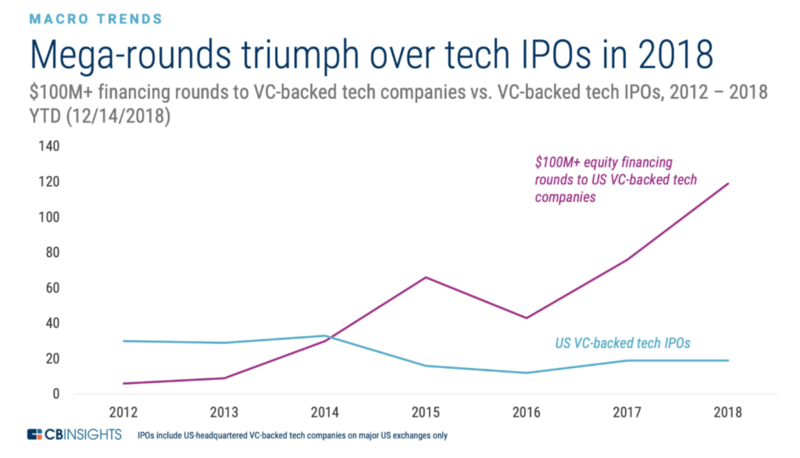 In 2018, there were more than 6 times as many $100M+ equity financing rounds to US VC-backed tech companies as there were IPOs. While staying private has its disadvantages, the approach does offer startups far less scrutiny from regulators and freedom from the pressure on quarterly results that public companies are subject to. This is a significant factor for startups that need a long runway before they can show consistent growth and profitability. For their investors, staying private can give companies more time to grow into their valuation. The upward trend in late stage funding is squeezing investment banking margins. Despite a few high profile IPOs on the horizon, including Uber and Pinterest, IPO volume is shrinking overall. Between 2014 and 2018, public offerings from US tech companies dropped from 33 a year to 19. 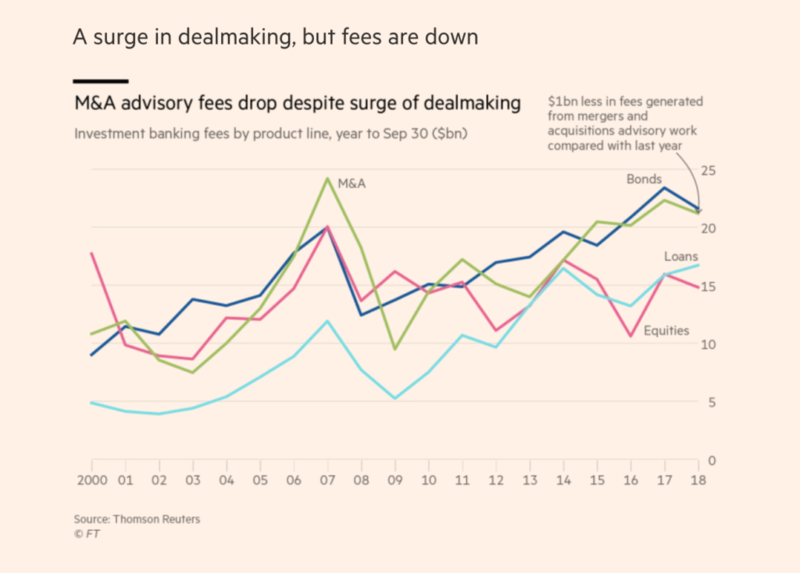 For investment banks that collect a fee each time a company goes public, that’s not an encouraging sign for the future. With all the name recognition many tech companies have already earned themselves, some startups have decided that they can just list themselves on the stock market directly. In April 2018, Spotify did just that and demonstrated how the emergence of tech as a major driver of the economy’s returns could one day reshape the way all companies go public. Instead of an IPO, Spotify filed for a direct public offering, or DPO — they began selling shares directly to the investing public without going through the underwriting process. Spotify’s DPO was seen as largely a success. On its first day of trading, Spotify’s stock price experienced a volatility of 12.3% — lower than most other large-scale tech IPOs — indicating an underlying confidence in the company. Over the months that followed, Spotify’s stock price increased by around 30% to reach a high of $192, though it has since decreased to levels more on par with its initial pricing. However, the company was able to achieve its primary goal for going public in the first place: providing liquidity to its shareholders. The move garnered Spotify a lot of attention at the time. Now, it’s beginning to get them imitators. 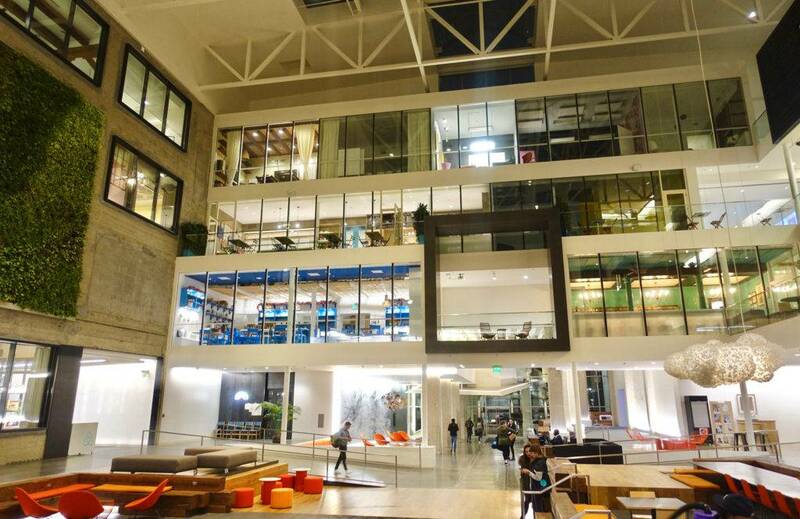 In February, Slack announced that it had also filed to go public with a direct listing, and Airbnb is reportedly considering going public through a direct listing as well. The DPO model is intriguing to private companies because it could save them much of the sizable fee they might otherwise pay to an investment bank. While Spotify still worked with a few investment banks to help organize the logistics behind the unconventional deal, those advisors made a small fraction of what they would have on an IPO — only reaching about $30M amongst the three banks, according to The Wall Street Journal. Spotify’s choice to go public without an underwriter diminished the value of the banks’ special relationships with institutional investors. Even if DPOs don’t become common for typical companies looking to go public, they will still likely remain an attractive option for large tech companies. The most successful startups today have better access to late stage capital and also tend to have high levels of social capital. Before Slack, for example, it would be hard to imagine an enterprise chat app becoming a household name, but today, Slack is a well-known brand. When companies plotting to go public already have the prestige that comes with growth and success, along with strong consumer sentiment, it becomes much harder to convince them of the added value from hiring an investment bank to help them go public. “If a company can raise the majority of its growth equity capital privately and float their shares in a broker-free offering, it would be scary for the underwriting business,” said Michael Sobel, co-founder of Scenic Advisement, an investment bank serving private tech companies. Other technology companies are looking to cut the cost of going public and simplify the listing process by creating alternative exchanges. This includes the Investor’s Exchange (IEX) and the Long Term Stock Exchange (LTSE), which take aim at market data and exchange access fees charged by major exchanges like Nasdaq and the New York Stock Exchange (NYSE). IEX received approval as a registered stock exchange in 2017 and is now looking to attract trading volume away from exchanges by letting companies list for free. In October 2018, IEX listed its first public company, Interactive Brokers. IEX will let companies list for free for the first five years, before charging a flat annual rate of $50,000. Today, IEX has a market share of 2.5% of trading volume, compared to incumbent exchanges like the Nasdaq and the New York Stock Exchange which have about 20% each. Though small, IEX’s position relative to the market has been steadily on the rise and the 5-year free listing period could be attractive for companies looking for alternative ways to go public. Though its long-term future as a fundraising technique is highly uncertain and its application so far has been raising money for very early-stage companies, the idea of selling shares in a company directly to consumers using the blockchain offers a kind of alternative to the public stock market. In an initial coin offering (ICO), instead of going public on an exchange or raising equity financing, companies instead issue their own cryptocurrency, avoiding the need for bankers at all. Most companies don’t give any equity away in their ICOs either — instead, giving their investors a cryptographic token that could potentially rise in value. In 2017, startups raised $5.6B from ICOs worldwide, and the growth continued into the early months of 2018. However, interest in ICOs has cooled after a number of fraud allegations and a crackdown by the SEC, with only $118M raised in Q1’19, according to TokenData — that said, experimentation in the field is likely to continue, whether through emerging technologies or other innovations. While ICOs are unlikely to have a huge impact on the IPO market anytime soon, they are a signal of the many ways private companies are coming up with new ways to avoid the expensive IPO process. With the dearth of IPOs in general, big companies looking to go public without underwriting, and the increasing commoditization of the IPO process itself, the outlook for investment banks and their underwriting revenues is — long-term — a matter of doubt. Further disruption to the traditional IPO process would force investment banks to rely even more heavily on their other major money maker — mergers & acquisitions. Mergers & acquisitions (M&A) is a traditionally relationship-driven industry built on big transactions and big fees. For investment banks, M&A has historically been one of the most reliable revenue streams. Today, however, the power in M&A is starting to be distributed more evenly. M&A activity accounted for about 34% of investment bank revenue in 2018, according to Dealogic — down from 44% in 2015, according to Ansarada. At the same time, fees going to specialized boutique banks like Qatalyst have been increasing, rivaling even the biggest banks like Goldman Sachs. The last few years have also seen a significant uptick in the number of private M&As undertaken without the assistance of an investment bank. In 2015, according to Dealogic, 26% of M&A deals worth $1B+ took place without outside financial advisors, a 13% increase from the year before. Technology is changing the nature of dealmaking and proving that much of the M&A value chain can be commodified. In the middle market (deals worth between $10M to $1B in value), private, online networks and SaaS tools are giving smaller company executives and brokers the ability to conduct M&A transactions on their own more quickly and far more affordably. Even some big companies are opting to go it alone when it comes to mergers & acquisitions. Apple’s acquisition of Beats, Comcast’s acquisition of DreamWorks, Facebook’s acquisition of WhatsApp, and Oracle’s acquisition of Micros Systems were all done without an investment bank’s involvement — and those four deals were altogether worth more than $31B. Of course, M&A is still a lucrative function for investment banks today. SoftBank’s 2016 acquisition of the UK’s Arm Holdings for $30B, a deal which reportedly took just two weeks to complete, was expected to generate $120M in fees for the investment banks involved. M&A is a complex logistical and financial affair, and may best exemplify the prestigious, high-touch, and relationship-driven work investment banks are known for. In a merger or acquisition, the companies involved must agree on price, on how existing shares and stockholders will be affected, how control of the company will be distributed, how assets and capital will be distributed, and much more. Investment banks help in the M&A process by, among other things, valuing a company, sourcing a buyer or seller, negotiating agreements, and arranging financing. Not every type of merger or acquisition needs an investment bank to shepherd it through, however, and more and more companies have been electing to run the M&A process on their own, without the assistance of an external advisor like an investment bank. The capabilities of new technologies built to help both companies and banks complete mergers & acquisitions are part of why companies big and small are increasingly taking the leap into “DIY” M&A. Axial Networks, which Bloomberg called “the Tinder for M&A,” is a platform to connect startups with potential buyers. The company said in 2018 that it had facilitated $25B worth of deals since its launch in 2010. Brokers and executives who want to join Axial pay a subscription fee that starts in the low thousands. Users input their company financials into the tool, and it helps match them up with buyers or lenders on the platform. Because it’s not limited by the network of one bank, there’s a greater pool of potential buyers. It’s much less expensive. On a $10M acquisition, a 3% fee paid out to an investment bank will amount to $300,000. Axial cost between $15,000 and $90,000 a year in 2015 but prices, since then, have reportedly fallen. That said, an investment bank is only paid if a deal successfully closes whereas Axial takes its annual fee regardless. Since the financial crisis, the large investment bank has become the source of some suspicion when it comes to handling large scale M&A. Since banks like Goldman advise on M&A deals and trade, some executives view them with distrust. Smaller banks that don’t trade may be seen to have fewer potential conflicts of interest when it comes to their advisory work. Qatalyst, which focuses on technology, handled the sales of OpenTable (to Priceline) and LinkedIn (to Microsoft), while Centerview Partners, which focuses more on consumer products and pharma, handled the sales of Kraft Foods (to Heinz) and Lorillard (to Reynolds American). Qatalyst, in particular, became famous for generating higher-than-average premiums for its specific type of client — and of course, as a result, the firm likely is able to further attract some of the most high-profile clients, creating a self-reinforcing cycle. In 2011, Qatalyst’s clients received approximately 70% average premiums on their deals compared to where shares were trading 4 weeks prior to deal, according to Thomson Reuters. By comparison, the typical tech firm at the time sold for approximately 37% higher premiums. That performance comes from the firm’s focus and expertise. Frank Quattrone, the firm’s founder, cultivated close relationships with founders and VCs in Silicon Valley throughout his years at Morgan Stanley’s tech investing group. While there, he helped bring Amazon, Netscape, and Cisco public. He also helped Google in an advisory capacity when Microsoft was considering bidding on Yahoo. When he left Morgan Stanley to start Qatalyst, those relationships helped establish the firm’s expertise in high tech M&A, with high-profile names like Google CEO Eric Schmidt vouching for his abilities and pledging to work with the banker. “What Steve Jobs is to technology products, Frank Quattrone is to tech banking. The best there ever was — period,” said VC Roger McNamee. Thanks to their expertise, these specialized banks can in some cases charge even higher rates for fees than Goldman or Stanley. In 2017, Qatalyst’s fees were 50+ basis points above the median rate for $1B to $5B transactions, according to the Financial Times. While this isn’t classical disruption, in that typically a disruptor charges less than incumbents and goes after a specific piece of the value chain, nonetheless Qatalyst’s growing reputation for focusing narrowly on M&A and facilitating high-value deals is a threat to the major investment banks that would otherwise compete for high-profile tech M&A deals. The “traditional M&A” was often driven by a desire to boost EPS (earnings per share), with companies seeking to combine assets with a similar business, merging with a business in a lower-tax jurisdiction, or looking to gain desirable assets owned by other businesses. Investment banks were ideal partners for these kinds of deals, which fueled the merger mania on Wall Street in the 1980s, because they had spent decades executing M&A from the perspective of increasing earnings per share (EPS), understanding the impacts of a deal on a company’s balance sheet, and identifying synergies, such as expanded production capacities or creating economies of scale. Today, executives are more focused on strategic M&A, rather than a quick EPS fix. While strategic M&A isn’t new, tech companies today are especially focused on building more competitive long-term businesses by buying into new product spaces and expanding their portfolios. When Facebook bought WhatsApp and Instagram, they were not buying them for their handful of coders or tiny offices. It was buying them as part of a long-term strategy. When Spotify bought the podcasting company Gimlet Media, it was placing a bet on the future of podcasting — not scooping up a high-earnings company to improve their own financials. Making these kinds of deals go forward requires less financial management and more product vision. With the motivations behind M&A shifting, boutique banks reshaping M&A in tech and other verticals, technology creating more options within middle market M&A, and a rising number of executives tackling the process alone, the space is poised for a further shift in how this crucial function of the world’s biggest investment banks works — presenting yet another threat to the business model of investment banks. While M&A has held up relatively well given these problems, the same cannot be said for another line of business that has fundamentally changed since the financial crisis — asset management. Asset management for institutions, high net worth individuals and other private clients is one of the most profitable financial services today. Since the financial crisis, however, new regulations making it harder for investment banks to trade with client money and new types of financial products have made dedicated asset managers the most popular place for investors broadly to put their money. Today, most asset management revenue goes to BlackRock, Vanguard, Fidelity, and State Street. Notably, these firms are not burdened by the same kinds of regulations as investment banks. The investment banks have been racing to catch up — asset management represented 19% of Goldman’s firm-wide revenue in 2018, compared to about 10% a decade ago — but the pure-play asset managers have been even more successful and may have used their significant head-start to build an unassailable lead in the passive investing business. Moreover, the main reason that banks are deriving an increasing percentage of their revenues from asset management is because their share of revenues from other activities, like trading, have dropped so dramatically. Over the last decade, trading went from 65% to 37% of Goldman’s revenue. The dedicated money management firms have, however, clearly become the growth vehicle of choice for private investors and mutual funds. Between 2006 and 2017, asset managers’ share of financial sector revenue rose from 39% to 49%, according to the Wall Street Journal. Before the financial crisis, investment banks had an advantage based on their massive scale and balance sheets, which allowed them to get better deals on trades than other types of financial institutions. But new regulations passed after the financial crisis, such as “stress tests” designed to check investment banks aren’t carrying too much risk, led to the biggest investment banks being required to carry more capital and trade less — including with client money. During the same time period, a new generation of asset management firms was ascendant. For about 7 years following the crisis in 2008, short-term interest rates in the US stayed at just above zero, encouraging investors to look for other places to put their money. Many of those investors opted into low-cost index funds from companies such as Fidelity and Vanguard that offered a cheap way to get exposed to the rebounding US economy. Between 2007 and 2017, assets under management at BlackRock, Vanguard, State Street, and Fidelity went from $7T to $16T. Over the same period, total assets under management by America’s 10 largest banks, including JP Morgan, Goldman Sachs, and Morgan Stanley, decreased by 6%. Assets are shifting from investment banks to dedicated money management firms because they have been better able to drive returns at lower fees. 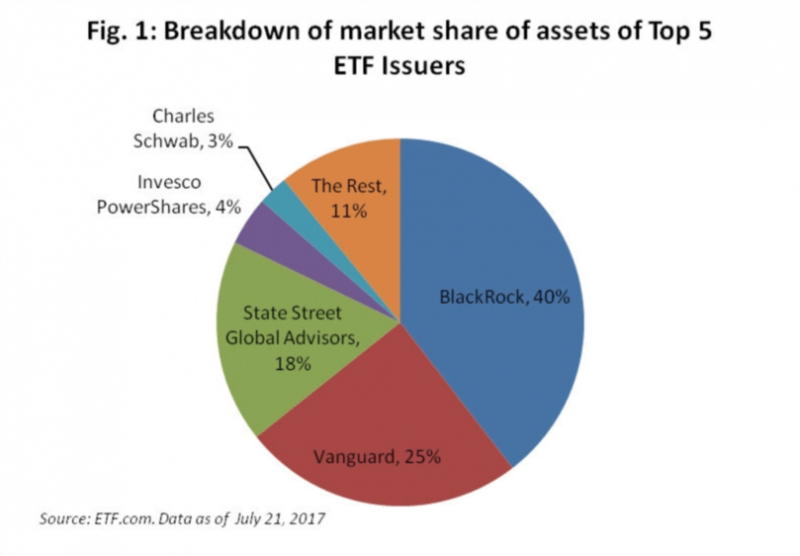 The biggest asset manager today, BlackRock, began its ascent when it bought iShares, Barclays’ exchange-traded fund (ETF) platform. ETFs are investment funds that consist of different securities, usually pegged to some index — giving potential investors the ability to easily diversify their investments. Because trading with ETFs is passive, they involve lower costs — in the case of iShares, about one-tenth that of an equivalent mutual fund. Between 2008 and 2013, investors increased the amount of money under management in ETFs by more than 3x, with nearly half of that going into ETFs issued by BlackRock. As of 2017, BlackRock held about $3.88T under management, while Vanguard held about $3.1T — the former up 18% from the year before and the latter up almost 30%. A worrying fact for investment banks is that they have so far only been able to achieve a small percentage of market share in a service that is so lucrative and which makes up such a significant portion of their revenue. This is likely why the big banks are focusing on the wealth management side of asset management. In 2017, Morgan Stanley brought in $16.8B in revenue with its 15,700 wealth management advisors — about $1.1M per advisor, according to Barrons. At Goldman, wealth management among ultra high net-worth individuals is so lucrative that it now makes up about 20% of the company’s total revenue — up from just 10% before the crisis in 2007. Their 700 wealth advisors each generate $4.5M a year and, before he left, ex-CEO Lloyd Blankfein announced a plan to increase by 30% the total number of wealth advisors at Goldman by 2020. In addition, Goldman has been building up a passive index fund business to better compete at the lower end of the market. But high net-worth wealth management by Goldman and Morgan Stanley hasn’t driven the same kind of returns as dedicated asset managers, which is why it appears that the reign of BlackRock, Vanguard, and their ilk will continue. And now dedicated asset managers have their own disruptors, making asset management an even more competitive area for investment banks. A slew of startups have emerged over the last few years that are especially popular among millennials, and designed to serve as a cheap investment manager and an introduction to the basics of wealth management. Robo-advisor startups have raised over $2B since 2013 in 18 countries. These apps have a younger and lower-income client base than the investment banks and are not yet a significant concern for these institutions. But they do pose a long-term disruptive threat to both investment banks and dedicated asset managers. 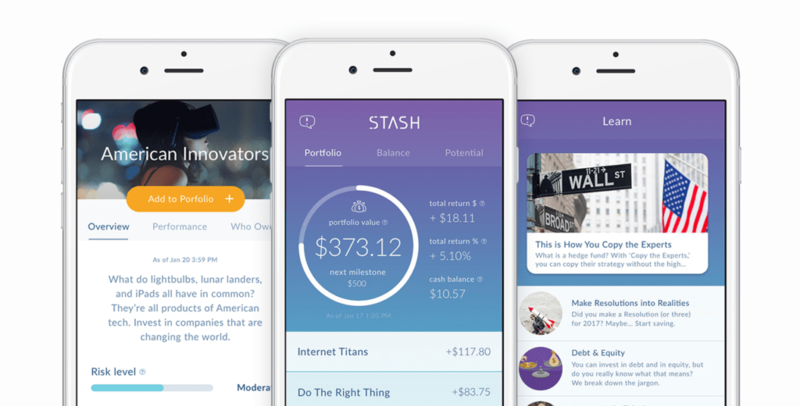 The conventional financial industry thesis is that personal finance apps serve as a bridge to more traditional asset management products: once young people “grow out” of their savings app, they’ll open a mutual fund account. But without their own compelling similar offering, investment firms could eventually miss out on a generation with rising incomes and more comfortable with apps than banks. Personal finance apps already offer investing in stocks, investing in ETFs, and investing in different curated buckets of securities differentiated by market and risk-tolerance. Some apps, like Wealthfront, have already positioned themselves as the upmarket “upgrade” for users with more than several thousand dollars needing to be managed. With less than $100,000 under management, the line between what a dedicated asset manager can do and what a personal finance app can do is increasingly thin. And as millennials trained on financial literacy in the App Store enter their prime for earnings, it’s plausible that their apps will continue to increase in sophistication to accommodate them. Unsurprisingly, the big banks are responding to this trend. Goldman Sachs is reportedly preparing to launch a digital wealth product, potentially in the form of a robo-advisor, under the Marcus brand, which has previously focused on high interest savings accounts and personal loans. With their prestige and brand value, building a robo-advisor and going after the millennial market may be one of the most effective ways for banks like Goldman to compete with the new dominant firms in the asset management industry. Building an app that helps users understand the market and invest their money could also be a powerful way for investment banks to leverage their research expertise towards attracting a new audience — especially now that the traditional value of equity research, which was once a pillar of the investment banking business model, has been brought into question by changes to the way that banks bill their clients. Equity research — reports on companies, securities, and markets for investment banking clients — is an industry that has been in decline for the last decade. But more recently, the European Commission’s Markets in Financial Instruments Directive II (MiFID II), which went into effect in 2018, has nearly made this traditional function of the big investment banks obsolete. MiFID II banned the “bundling” of research with trade execution, compelling investment banks to price and sell their research as a separate product. This triggered a re-evaluation of the value of that research among the clients of the world’s investment banks, with many deciding that they could go without. In addition, new technologies like natural language processing, which helps computers to analyze human communication, are offering more efficient means to automate the writing of research reports. While some of these technologies have actually been developed or white-labeled by incumbents, they are also being deployed by smaller companies eyeing another opportunity to further cut into investment banks’ historic functions. While sell-side analysts still offer corporate access on behalf of buy-side investors, such as hedge funds, the research side of the job has been fundamentally disrupted. The result has been layoffs among equity research staff at investment banks around the world and cutbacks in the level of investment in research. At the same time, smaller, independent research firms with the capability to specialize have found their fortunes on the rise, while buy-side shops such as dedicated mutual funds, pension funds, and hedge funds, have been building up their own internal research capabilities. The traditional job of the equity research team inside an investment bank is to analyze securities and produce advice for the rest of the firm, as an added benefit for the investment bank’s clients, and sometimes for the wider public. They use quantitative and qualitative models to work out the fundamentals of a company, assess its future earnings potential, determine whether it is a “buy” or a “sell,” then collect that information into a report. Those reports are then sent to the pension fund managers and retail investors who are clients of the bank, and they can decide if they want to buy or sell the stock based on that research. The problem, historically, has been that most of these reports go unread. The top 15 global investment banks produced about 40,000 research reports every week in 2017, but less than 1% of those reports were read by investors, according to Quinlan & Associates. Investment banks were able to justify creating these mountains of unread research without charging for them because the cost of doing so was subsidized by trading, and it provided a value-add for their institutional clients. That all changed when MiFID II, which went into effect in January 2018, forced banks in the EU to start charging separately for their research rather than bundling it together with the cost of trade execution. MiFID II’s purpose was to update the rules set forth in the original MiFID, passed in 2007. The core principle of MiFID II was transparency — better reporting of trades, more precise timestamping of transactions, and reassurances that customers were getting the best price possible on a particular trade. One of the biggest targets of MiFID II’s rules was equity research. The regulators behind MiFID II saw research as a perk that brokers used to persuade buyers to trade with them (and potentially trade more often) rather than another broker (who could potentially offer a better price). Regulators feared these “soft commissions” could lead to fund and asset managers trading with the broker that gave them the best research perks, rather than the broker that would get their investors the best price. MiFID’s “unbundling” triggered a re-examination from fund managers around the world of the cost-benefit of equity research. The result has been a wave of layoffs, shake-ups, and cutbacks across the research space. A Greenwich Associates survey from early 2018 showed that asset managers across Europe had already reduced their research budgets by $300M from the year before — a 20% decrease. In turn, investment banks (some of which had already begun to price their research separately just before the onset of MiFID II) have begun looking for more ways to cut costs in their research departments. Macquarie’s European division announced a round of analyst layoffs in May of 2018. In July 2018, it was reported that 24 analysts had left Bank of America’s 130-person UK research team since the regulations kicked in. 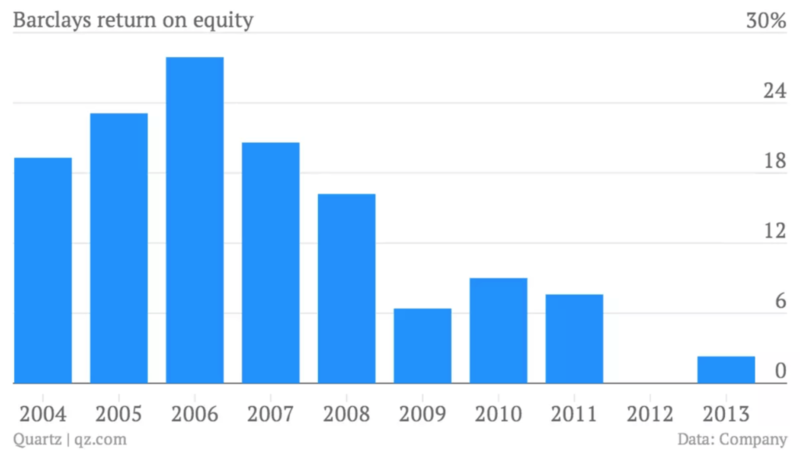 And in November, Germany’s Berenberg laid off around 50 staff, mostly in equity research. Most banks have offered an unbundled, reports-only version of their research team’s output for years. After MiFID II, however, investment banks — even top banks like JP Morgan — dramatically slashed their prices. In the run up to MiFID II, EuroIRP found that the general price for research reports from investment banks had decreased from around £200,000 to £50,000 (roughly $250,000 to $60,000 at the time) in the 6 months leading up to September 2017. 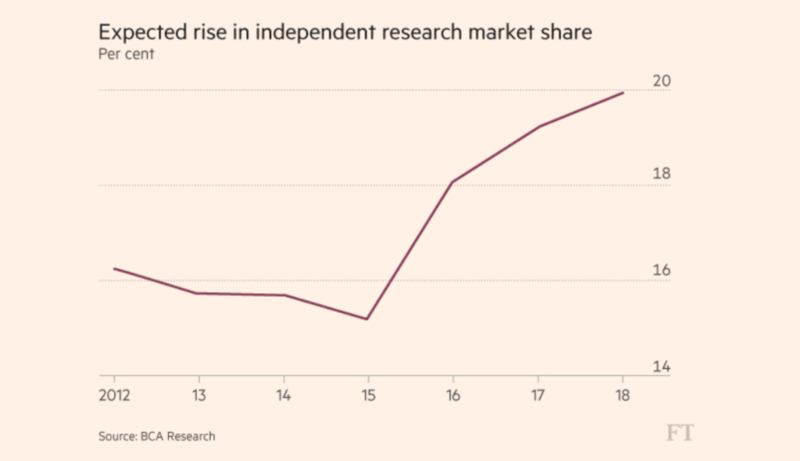 Asset managers, freed of the obligation to bundle payment for trading and research, have started looking for more cost-effective sources for their research needs. In some cases, they’ve invested more in their own teams, hiring subject matter experts to help them trade in specific industries. The internationally-oriented Ariel Investments LLC, on the other hand, has specifically sought out analysts with experience living in countries like Greece, Russia, and China. Asset managers are looking to independent, specialized research agencies and building out their own internal research teams because doing so allows them to pay only for the research they value, while also providing more control over quality. This emphasis on human capital reflects the types of research that many big institutional clients were actually using and deriving value from before MiFID II was passed: by and large, one on one meetings with experts. 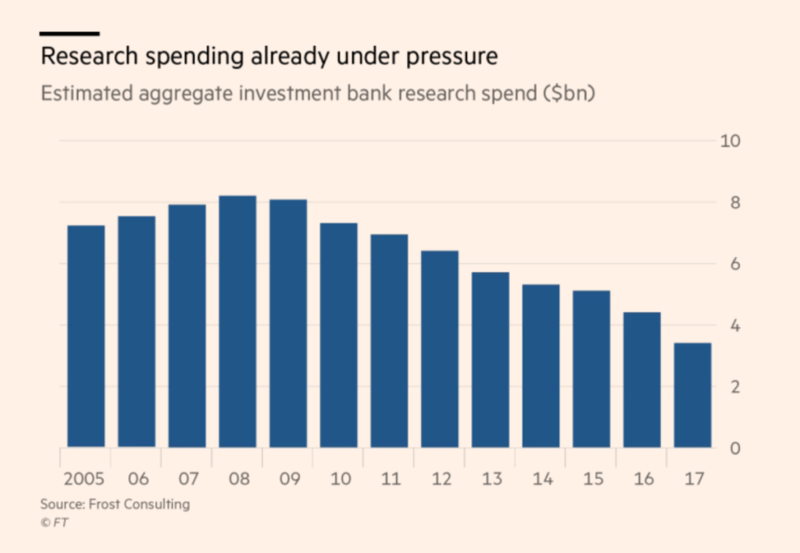 As more and more institutional clients move their spending in these directions, investment banks will likely cut down even more on their investment in research — an expenditure that was already declining prior to MiFID II. Some firms are exploring technologies that can help them more efficiently produce research internally. Germany’s Commerzbank, for instance, is working on an artificial intelligence project with the end goal of automating the writing of analyst reports. The bank’s R&D head, Michael Spitz, has argued that the project is feasible because “equity research reports reviewing quarterly earnings are structured in similar ways” and the source data is publicly available and formatted, making it easier for a script to extract the relevant information. The French research firm AlphaValue SA is also capitalizing on this shift — in its case by bringing the crowdsourcing business model to equity research. Instead of producing research and attempting to sell it to asset managers, AlphaValue SA “names a stock, lists how much it will charge to provide research and invites a number of investors to co-finance the cost,” according to Bloomberg. The result is a system that only generates research on companies that fund managers want to read about — rather than producing thousands of reports covering thousands of publicly listed companies. Investment banks themselves are responding to these threats in various ways. As some investment banks with highly ranked research departments like JP Morgan are lowering prices on written research, they are also driving profit by bringing in additional revenue from offering fund managers individual calls with analysts. Prices for calls reportedly range from $1,000 to $5,000 per hour. Others are differentiating with technology. Global Head of Research at UBS Juan-Luis Perez spearheaded the reinvention of his firm’s research division, hiring data scientists, software engineers, and social scientists to collaborate on solutions to client questions. Many of these reports use complex statistical analysis, deep learning, and natural language processing technologies — a much different end product from the typical research team’s “buy” or “sell” recommendation. As of November 2018, the UBS “Evidence Lab” began offering its services to non-UBS clients, bringing it into competition with independent research firms. In research, those firms that are sufficiently large and prestigious like JP Morgan will find ways to drive revenue, even if those revenues now have a lower ceiling. Other firms will differentiate by using technology, and others will differentiate by finding a niche where they can extract a higher margin through their expertise. In this, the situation in the equity research world bears a striking resemblance to the kind of disruption happening in investment banks’ sales & trading divisions. Perhaps nowhere has the combination of post-financial crisis regulations and technological disruption had more effect on investment banks than in their sales & trading departments. Today, banks only make money from trading by charging their clients a commission on each executed trade. Before the financial crisis, however, investment banks could execute on their own trading strategies using their own money and keep the profits. In 2009, JP Morgan, Citigroup, Bank of America, Goldman Sachs, and Morgan Stanley made almost $100B from trading alone. But a massive sea change for the banks began with the Volcker Rule, which came into effect in 2014 and was passed as part of Dodd-Frank, which banned investment banks from prop trading, or making bets with their own capital. The thesis behind the Volcker Rule was that when banks were empowered to use leverage in trading and make riskier bets, it increased the chances of those trades going poorly and putting the whole bank, along with client’s money, at risk. 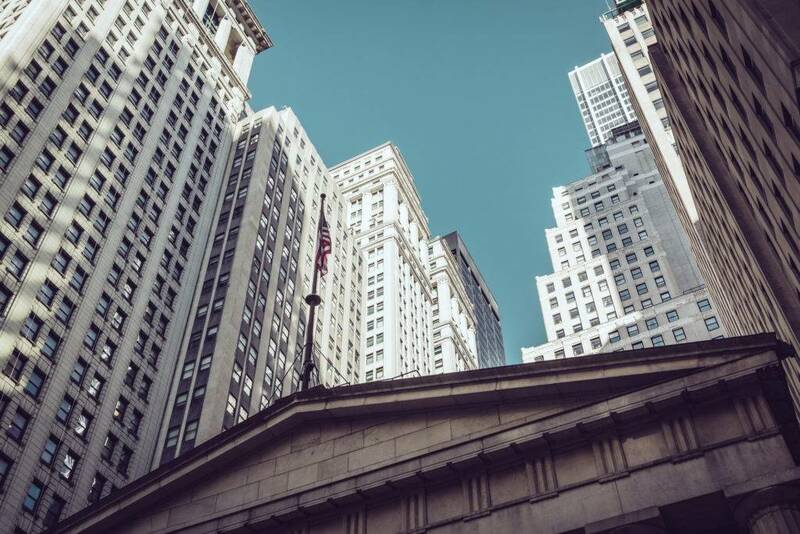 Coinciding with the Volcker Rule’s passage, various financial regulators around the world increased capital requirements, forcing investment banks to keep a higher ratio of their capital on hand rather than in trades. Largely as a result of these two changes, trading profits at investment banks plummeted. At Goldman Sachs, trading has gone from 65% of overall revenues to just 37%. In 2017, the revenue on trading for the five banks mentioned above was just $71B, down almost 30% from nearly a decade prior. And during the third quarter of 2017, Goldman Sachs’ trading division produced only $1B in revenue — the equivalent amount they would have produced in just ten days in 2009, according to the Wall Street Journal. Part of the issue is that, for the masses of ordinary retail investors, low-cost index products available from groups like BlackRock offer a way to generate reliable returns. The other challenge is that while the big banks have been looking for ways to trade more competitively, new quantitative trading firms like Jane Street and Citadel have stepped into the trading vacuum, bringing technology to trading to help themselves and their clients generate bigger profits faster than anyone else. The result has been a commodification and recentering of the trading world from the biggest investment banks to quantitatively-driven funds and other firms, where traders can take more risks, enjoy a less encumbered regulatory environment, and generate higher returns. The investment banks have responded in kind, investing in technology themselves to automate parts of the trading function and retain their profit margins as much as possible. 2018 was one of the best trading years for the investment banks since the financial crisis, but the industry’s performance as a whole is still far off pre-recession levels. Trading became the lifeblood of the biggest investment banks early on, largely due to the fact that they had an advantage in the market due to their scale. They helped institutional investors buy and sell securities, but more importantly, they traded them themselves. Because of their size and immense holdings, they had the leverage to get better prices than other kinds of financial institution — and they could use their large capital holdings to make bigger bets with their own balance sheets. A few years into the Volcker ruling, however, the investment banking divisions of the world’s biggest banks were suddenly less profitable than retail and other divisions. In 2013, Morgan Stanley itself admitted in an analysis of the investment banking sector that demand for equities trading was falling with the emergence of electronic trading and from lower cost options. Today, the big investment banks operate more like “utilities,” as former Pimco portfolio manager Harley Bassman termed them. Rather than trading with their own balance sheets, banks like Goldman Sachs are generating most of their trading revenues from helping their clients — like big hedge funds and asset managers — complete their trades. The first problem with this strategy is the focus, by Goldman and other big investment banks, on providing trading services to hedge funds, which tend to be a more unpredictable business, rather than other large institutions like asset managers and corporations, which have more predictable trading needs. The second problem is the emergence of quantitatively-driven and tech-first firms like Bridgewater, Jane Street Capital, and Citadel that seek to offer a cheaper, faster, and more lucrative way to execute trades. Jane Street, which has acquired a reputation as one of the toughest places on Wall Street to get a job, was born in 1999 as a quant-trading firm focused on ETF arbitrage. By 2016, they handled more than $1T in trades a year. With that large volume has come an increase in capacity, leading top asset managers and others to start looking to firms like Jane Street to help with their trading needs. The investment banks have tried to fight back by making their own investments in technology. In mid 2016, JP Morgan had only 123 positions open on its hiring website in sales and trading, but over 2,000 different job postings in tech, including blockchain research. 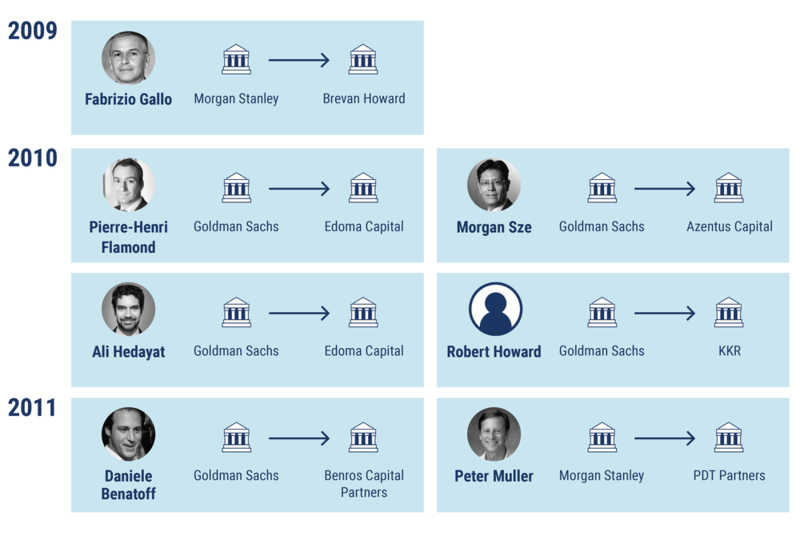 And Goldman Sachs has built its own automated trading platform, named Marquee, which it rolled out in the UK in 2018. The platform is designed to replace the work of some of Goldman’s technology and operations staff by automating more conventional trading functions. It is not Goldman’s first technology investment to boost trading efficiency. There were 600 traders at the US cash equities trading desk at Goldman Sachs’s New York headquarters in 2000 — a number which has since dropped to two, due in part, to automating aspects of the trading pipeline and an increased focus on technology-driven retail banking. While trading has changed since the days of the financial crisis, the top investment banks by revenue — Goldman Sachs, Morgan Stanley, and JP Morgan — have been largely able to weather the storm. In the first quarter of 2018, the top 5 US investment banks made $9.5B in equity trading revenues, according to finance research firm Trefis. This is the highest level since the 2008 crisis, and a leap from the $6.5B quarterly average across 2010-17. The biggest investment banks have the size and the ability to offer prime brokerage services to the hedge funds where the majority of trading takes place. They can also afford the kind of investments in technology that could allow them to make deep cuts to their payroll. The top investment banks are so-called “flow monsters” — banks with balance sheets big enough to offer the kind of trading capacity necessary to meet the cost of capital. Boston Consulting Group predicts, however, that only a few investment banks will ever again be able to grow to that kind of size. The rest may need to scale down, diversify into corporate and regional banking, or find a niche where they can use their expertise to increase their margins. The big investment banks are all responding to the changes wrought in their industry in different ways. Some banks, like Morgan Stanley, are heading off decline in the future by selling off failing operations and focusing on units, like asset management, that are still recording good profits. Others, like Goldman Sachs, are investing in technology and new digital products. Meanwhile, it’s cutting costs and hiring new workers in places like Malaysia and Utah, where the expense of operating is lower. JP Morgan, in a trendier approach, has recently embraced blockchain technology. The bank recently announced plans to use the JPM coin, a digital token, to settle payments between banking clients. With virtually every core function of traditional investment banking under siege, banks are rushing to launch products, restructure, and sell off unprofitable units. For many banks, downsizing or otherwise modifying their original growth ambitions will be the natural culmination of a decade of change and turbulence. For others, change will be slower. As the prestige in the finance world continues to flow from investment banking incumbents towards firms like BlackRock, Jane Street, and Citadel, investment banks will only be able to reverse a slow decline by radically changing the way they do business.